*October 8th - October 14th* Don't forget you can vote for **TWO** songs in each album! [poll type=multiple min=1 max=2 name=athousandsuns] - Burning in the Skies - When They Come for Me - Robot Boy - Waiting for the End - Blackout - Wretches and Kings - Iridescent - The Catalyst - The Messenger - Blackbirds [/poll] Due to a not so thought through decision, Blackbirds will **NOT** be affected in this poll and will be included in a later poll. If you were torn between it and another choice and picked Blackbirds, consider picking another choice, as it is getting a second chance regardless of how well it does! It's just that I cannot edit the polls anymore. The Requiem, The Radiance, Empty Spaces, Jornada del Muerto, Wisdom, Justice, and Love, or Fallout were left out as I feel they aren’t really songs, but that’s up to you guys if they should be readded. Although, The Radiance, Empty Spaces, and Wisdom, Justice, and Love will not be added either way, as they are for sure not actual songs. What about New Divide? Which album does that go under? Probably on a poll with random songs, stuff like LPU songs, B-side remixes, that kind of stuff. I probably should have included Blackbirds in that random poll. It’s not doing too well in this one and I can’t remove it now so it won’t be too unfair of an advantage to have it twice. That being said, if you voted Blackbirds, consider changing it! That being said, if you voted Blackbirds, consider changing it! I did, but why would I want to change it? I don’t stand to gain or lose anything when the poll closes, none of us do. Incase you were torn between your choices and wanted to pick a different song, but picked Blackbirds, since it’s getting a second chance regardless of how it does, might as well pick your other choice. A brief list of songs that most likely will be on the random list as: Dedicated, She Couldn’t, New Divide, Across the Line, Blackbirds, Slip, Blue, We Made It, Darker Than Blood, and Mike’s Leave Out All the Rest remix. Those are all of them, just ones that came to mind. Due to it’s randomness and being longer than a normal poll, I think I might allow three choices for it. It’s still a while away though, we have at least three more weeks left before that (LT vs. THP, Reanimation vs. CC, Xero vs. HTEP). APFMH is a live favorite. POA not so much (though I think it’s epic and brings a lot of energy), but studio version wise, I’d chose POA over APFMH as well. 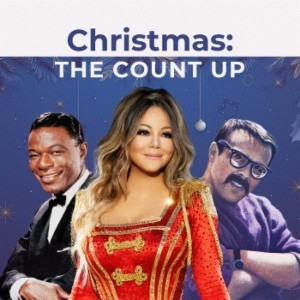 Listen to Slacker Radio's Christmas: The Count Up internet station. More of the Holiday music you love, personalized just for you. Judy Garland, Michael Bublé, Harry Simeone Chorale and more. I am absolutely surprised that none of us voters vote for robot boy or the messenger, never thought, cause robot boy is still on their PL or am I wrong??? I find this extremely funny. @The_early_walker Robot Boy is a nice song but it’s not considered one of the strongest ones on ATS. They can’t play it live due to the excessive amount of layers the track has. Mike only plays the piano part (just 6 notes repeating a pattern) it has, basically works as an interlude or transition thingie to the next one. Both great songs, not sure people appreciate Little Things as much as they should though. Maybe @TripleXero can do a poll with just instrumentals and we’ll vote there for the best one. Both great songs, not sure people appreciate Little Things as much as they should though. I do, I voted it. I feel like I kinda screwed up this game, with the inclusion of Blackbirds and not including smaller songs. I don’t know. Thinking about it while driving home today I thought maybe I should have just made one huge poll with every song all at once then slowly cut out lower voted songs each week. Thoughts? Muwhahahahahah I won. And how dare you not add the requiem song -.- that’s like not adding sessions, in which I voted for, it’s my favorite song from Meteora, aside from others like SWIB and LFY. You know, technology, blackbirds isn’t apart of ATS, it’s from their game. And you added that song but you didn’t add High Voltage or My December from HT Deluxe. Not that I dislike the song, I love blackbirds, it’s my second to third favorite demo song…following behind Part of Me and either between or before Fuse. And how dare you poopies not like Robot boy… I also voted for the catalyst, that song is amazing.